We get you from an idea to a story worth telling. Because the world deserves to see it made. Task: Creating 22 narrative videos and over 100 audio scenarios in both English and French for The Centre for Education & Training’s online self-assessment program. From casting talent and procuring set design, to a seamless editing phase and 1-year on-call support, our team was excited to be apart of this initiative to aid newcomers to Canada. Objective: To provide viewers with high quality audio and video scenarios for an easy to consume viewing experience, so they can accurately assess their English and French language skills. Results: Focusing on what mattered most for this project, including multicultural talent and strong attention to pacing, the outcome is a series of content that the TCET team can be proud of. Task: We have been working with Insuranca-Canada.ca since 2017 to capture footage at their numerous technology focused events throughout the year, and package them into 30-minute speaker sessions. We’ve also created dynamic highlight videos to promote their future events, and fun kick-off videos to set the mood at the start of each conference day. Objective: To build up their brand online as thought leaders in the space of technology in the insurance industry, as well as to re-sell the curated content for those that were unable to attend in person. Results: Insurance-Canada.ca is creating a library of content that can be consumed by anyone around the globe. They are lamenting their place at the forefront of innovation in their industry, and are attracting more consumers to their content. Task: Develop content for a 3-week social media campaign leading up to the 12th annual Andy Kim Christmas concert. Short format videos showcasing backstage interviews with artists and past performances were broadcast on Twitter. Objective: To bring this annual charity event to a new online audience, and push viewers to donate to CAMH Gifts of Light, which the event was supporting. Results: The videos helped attract a wide audience, even getting the attention of show host Russell Peters and trending on twitter during the night of the event. 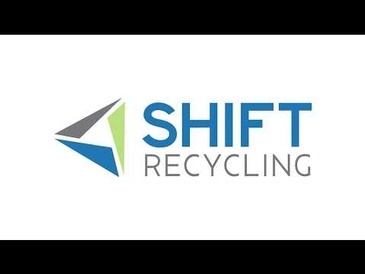 Task: Working with both Revolution Recycling and their parent company Shift Recycling, our team was tasked with creating a series of quick and energetic videos that could be used on the companies’ websites to highlight their values as well as their distinct capabilities. Objective: To set themselves apart from their competitors by showcasing their brand new facility, state of the art security, and focus on the environment. Results: The videos helped speak to the core of what Revolution and Shift provide to their customers, and serve as a differentiating factor on their respective websites. Whether to convert a prospect on your website, to entice visitors to your next event, or just to communicate important information to your viewers, contact Arc and Crown Media Inc. - video production company in Toronto, ON. We offer a wide range of Video Production Services across Toronto – Mississauga – Oakville – Markham – Vaughan – Hamilton and more.